Anyone who has known me for even a little while knows that Moulin Rouge is my favorite movie of all time. The story, the beauty, the costumes and the music….oh it all comes to gorgeous perfection in this film! This is one I can watch again and again and again. And I do. 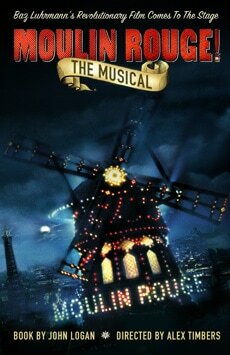 So when they announced that Moulin Rouge would be coming to Broadway, I was delighted. More Moulin Rouge love? Yes please! This morning, a video dropped introducing the world to Aaron Tveit as Christian and I’ve already watched it multiple times. I think I may be in love with a Broadway production. That’s not weird is it? Now, when you say “Introducing Aaron Tveit”, what do you mean by this? He is no stranger to Broadway or film, and has a very extensive list of roles both on stage and on screen. Just asking.